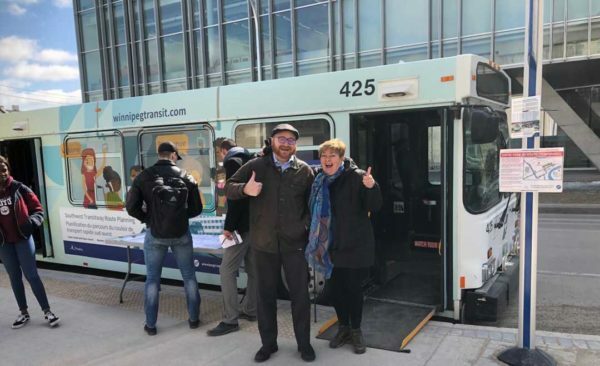 The Southwest Transitway will be open and running for Spring of 2020. Right now, the bus routes are being finalized in preparation for this very exciting opening! City staff are ‘proposing’ NEW routes, and frequency of the routes. It is IMPERATIVE you provide your input on the proposed routes! Transits is making a fundamental change to delivering transit service for the new corridor. Buses will be dedicated to the corridor, and different buses will be dedicated to running only in the neighbourhoods. The neighbourhood buses will only pick up residents and drop them off at the main line – the ‘Blue Line’ where residents will transfer off neighbourhood bus and onto a high frequency bus on the Blue Line. This will allow the neighbourhood buses to be on time (as they will not be travelling downtown) and it will allow a much higher ‘frequency’ for residents. For a full overview of what is being proposed – see Bus Routes are Changing in Southwest Winnipeg.